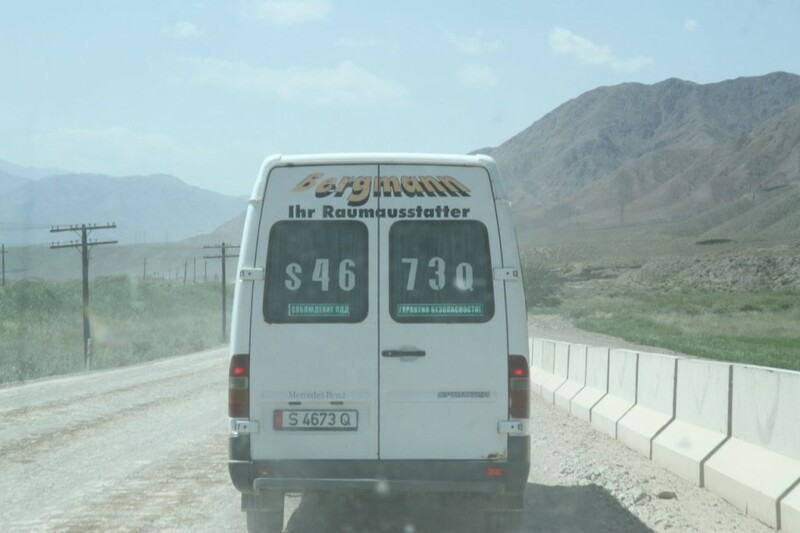 At first we thought we were not the only Dutch enjoying the Kyrgyzstan roads, since we encountered quite some ‘Dutch’ vans and trucks here. But it turned out they were not actually Dutch license plate cars, but probably stolen or written off cars from Holland or Germany. 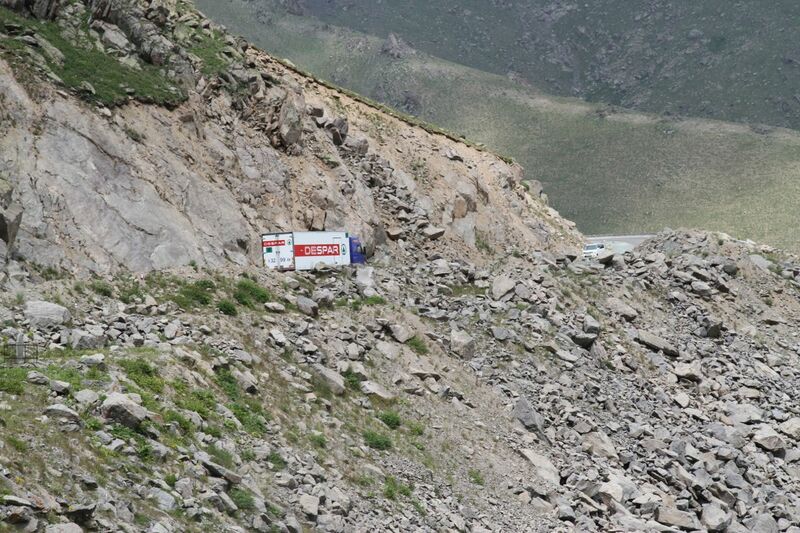 The Kyrgyz now use them mainly for bus services in and between cities and for transporting goods. The Sprinter especially seems to be a popular model for it. I only managed to take photos of some of the cars we drove past, but the number is staggering. That makes me wonder whether they are indeed stolen in Holland or Germany for that matter by gangs and then exported to Kyrgyzstan or simply legally bought as written off cars. 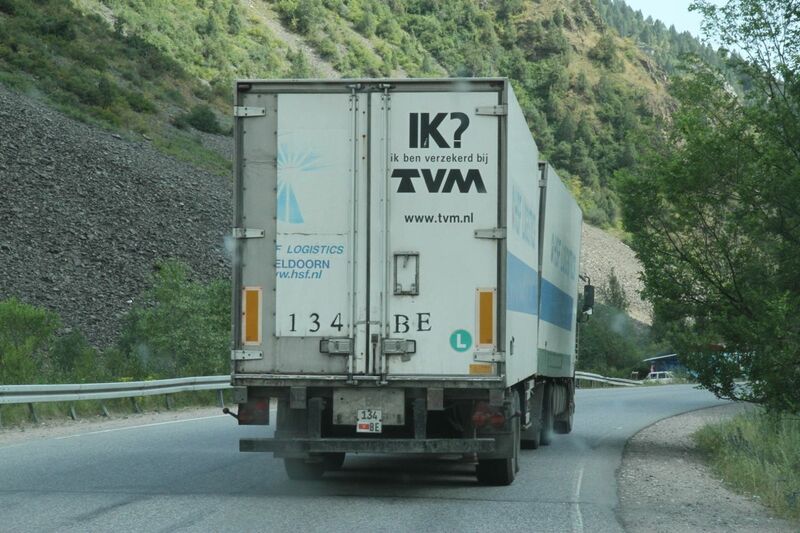 Most of these cars are painted over into plain white, but we also saw a lot of vans and trucks not bothering with that at all and just driving with the good old Dutch branding painted on the side. 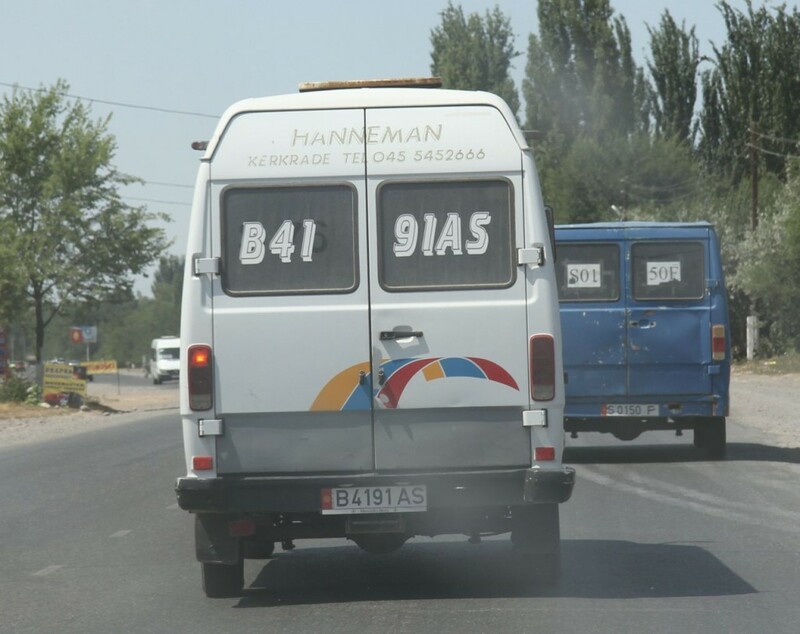 So here’s a little advice for any Dutch company missing a van or two lately: book a ticket to Bishkek and start looking around. Big chance your van is making its miles over here! We genieten nog steeds van jullie avonturen en verhalen. Great stuff. Geef the blue beast a big hug, hij doet het toch allemaal maar.